Closeouts. 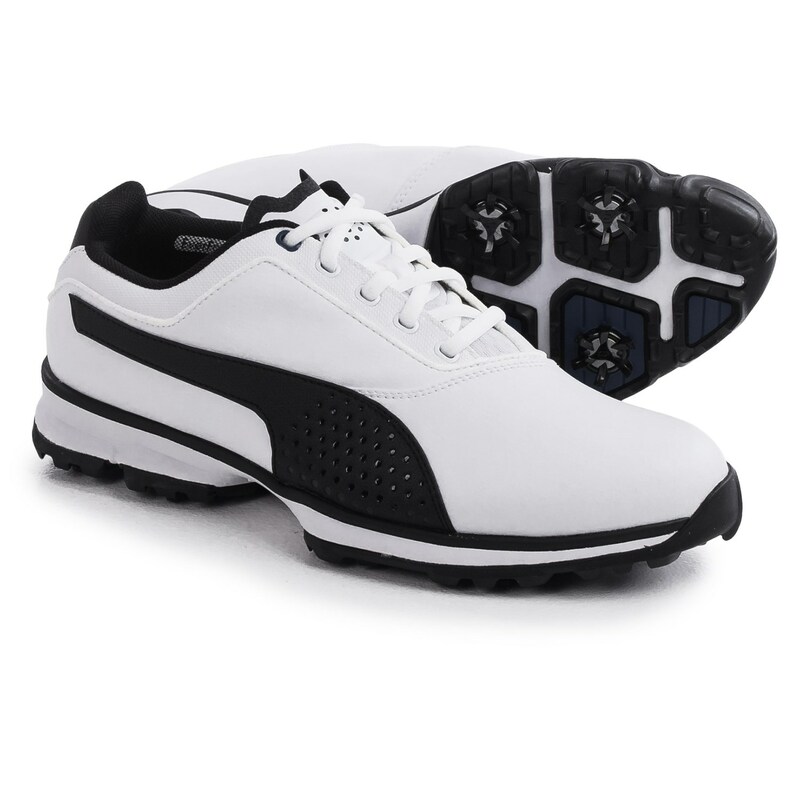 Perfect your swing with Puma’s Titanlite golf shoes. Power Toe forefoot construction maximizes force and power for a smooth follow-through with each swing, and the low-profile Stealth Cleat uses Kevlar® for long-lasting grip. For comfort in ever-changing conditions, these shoes integrate Outlast® technology that regulates temperature by absorbing excess heat and wicking moisture.